And the Pelicans - an organization that cleared out their front office this season in the immediate aftermath of Dell Demps' failure to trade Davis at the deadline - have finally found their man to make that happen with the reported hiring of David Griffin as the team's new president of basketball operations. 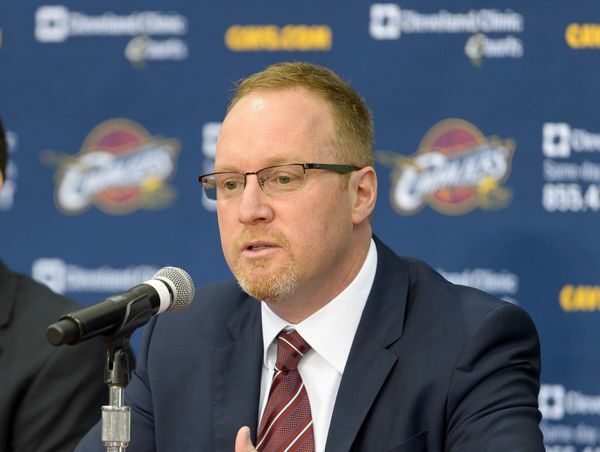 Griffin was named general manager in Cleveland in 2014 and oversaw three straight NBA Finals appearances including the 2016 NBA championship. Griffin was among six people interviewed by the Pelicans to replace Demps, including interim general manager Danny Ferry, Golden State assistant GM Larry Harris, Brooklyn Nets assistant GM Trajan Langon, Houston Rockets assistant GM Gersson Rosas and interim Washington president of basketball operations Tommy Sheppard. Griffin and team doctors will decide the best course of action when the season concludes. Griffin also could decide the fate of Pelicans coach Alvin Gentry, who has two years left on his contract. The immediate mandate for Griffin is unmistakable: Navigate a trade of All-NBA star Anthony Davis that'll shape the future of the franchise. It will be interesting to see whether the deal ends up being similar in value to his demands while on air on NBA TV. She also owns the NFL's New Orleans Saints. And when it comes to elite role players, there's no doubt there's some of those in Boston; Terry Rozier, a pending restricted free agent, would check off that box.